Riviera Nayarit Mexico Blog: February Events In The Riviera Nayarit: Come Join In The Fun! 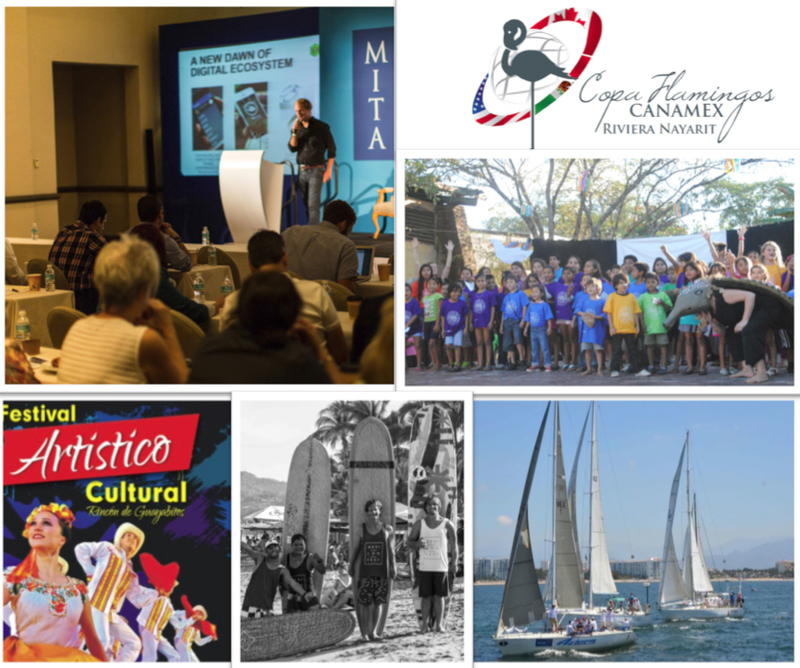 February Events In The Riviera Nayarit: Come Join In The Fun! The Carnaval de San Blas, the 10th Anniversary of Entre Amigos, the Mexi Log Fest, the WesMex International Small Boat Regatta, the Mita Tech Talks, the Festival de Guayabitos and the Canamex Golf Tournament all await you. This February the Riviera Nayarit is hosting events for every taste: carnivals, festivals, surfing and SUP competitions, regattas, tech talks and even a golf tournament. The Groups Department of the Riviera Nayarit Convention and Visitors Bureau is lending its full support to take each one to the next level. This encounter between creators and entrepreneurs in the tech field takes place in The St. Regis Punta Mita Resort, bringing together top minds from the United States and Mexico for inspiration and the generation of great ideas to make everyone’s lives a little better. The town of Rincón de Guayabitos comes alive with dancing, music, folklore, art, food and a fun family ambiance that welcomes tourists with the warmth and good cheer typical of the Riviera Nayarit.